With my babies, it was a question of how long should I swaddle baby. 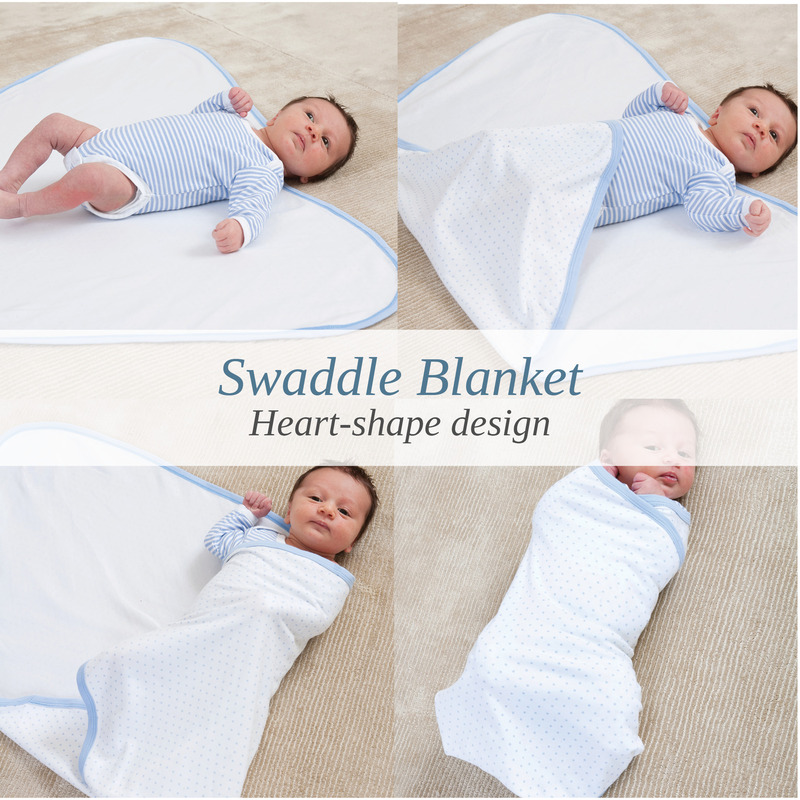 Mums-to-be today are wondering whether or not to buy a bamboo swaddle or some other kind of baby swaddle blanket! We were told to bath our babies every day but now the new baby skincare advice suggests otherwise. Babies are weaned later now too, at around 6 months. And the baby car seat rules seem to change every two years. All brilliant when it comes to a new baby’s welfare but the ever-changing rules are grist to the mill when it comes to a new mother’s worrying! And oh do we Mums like to worry! Is Baby too hot? Too cold? Hungry? Wet? Teething? Comfortable? Tired? Shall I buy organic baby clothes? Do I need to buy baby vests if I have a summer baby? What’s the difference between sleepsuits and babygrows? If I don’t buy organic cotton clothing, will my baby get eczema? We worry about everything you possibly can and then if we’re not worrying, we wonder if we should be! Helena’s journey hasn’t been an easy one. She’s 26+ weeks pregnant now and fingers crossed all’s going well. However she lost her first baby and you can read about the whole horrendous experience over on Helena’s Blog. I went through multiple earlyish miscarriages myself and know how awful the whole thing is and so it’s been lovely seeing how happy she is now. She’s been reading all manner of baby and pregnancy books and readily admits to being paranoid she’s going to do something wrong. But then that’s Mums and Mums-to-Be all over.